Umoja Curio Sellers - Watamu Marine Association. Umoja Curio Sellers are a select group of traders selling locally produced arts, crafts, clothing and jewellery. We are conveniently based on the beaches in the Watamu Marine Park and Reserve. Umoja comprise of 147 members and have been established for over 16 years since 1993. Umoja members recognise the benefits of uniting as a group to strengthen internal relations and for the common benefit of each trader. We see the advantage of having one voice which can be heard more effectively by the wider community and government authorities, and thus be more respected. Umoja united because it is easier in the eyes of the laws of Kenya to operate our shops as a legally registered community based organisation (CBO). Therefore we are in full compliance with all trading laws and regulations. Also it is easier for us as one to ensure that the marine environment is protected. We recognise the need to provide a high standard of service for visitors, and help improve the quality of tourism in Watamu. To this end we have attended WMA training sessions provided by the hotels to improve our customer care skills. Working with the members of Watamu Marine Association helps us achieve our objectives. We recognise that customer care is of paramount importance. We ensure that all customers are treated with absolute politeness and are not harassed. We are also committed to self-policing our beaches and work with the hotels and Tourist Police Unit to report illegal activities within the Marine Park, as well as illegal beach operators, which can be a problem and requires constant monitoring by ourselves. 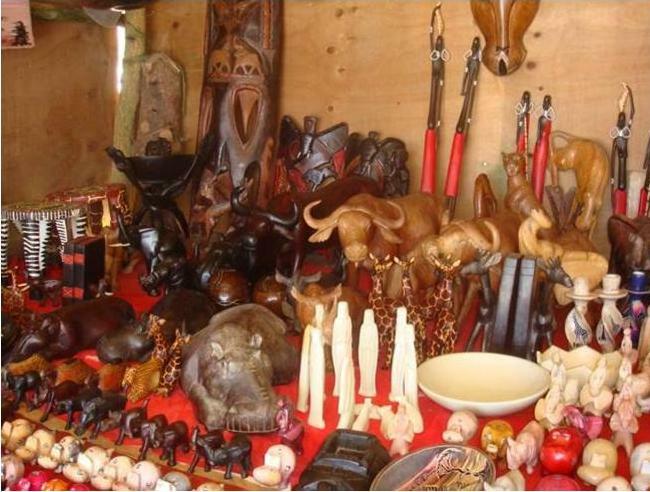 Umoja provides a huge array of products that will tempt the visitor to purchase that special memory of Kenya. 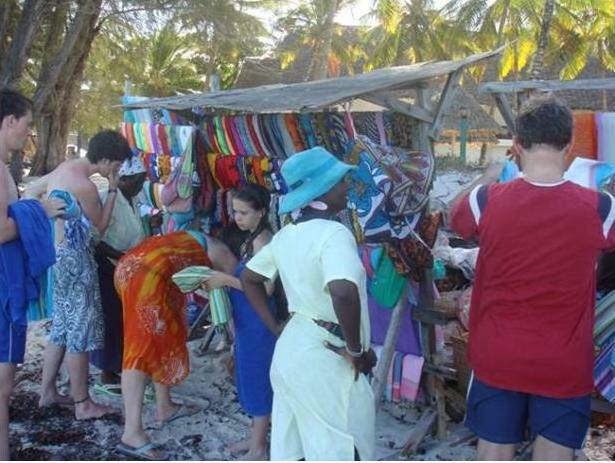 Umoja traders provide locally produced arts and crafts, specially designed by local people. We are scrupulous in that we sell only items made from â€œGood Woodâ€�, that is from non-indigenous trees. Thus we help conserve our natural local forest the Arabuko Sokoke, the last remaining coastal forest in Kenya. We also sell many other products exclusive to Kenya and the coast. Come, browse and choose from our competitively priced kangas and kikoys to brighten up your holiday or for the prefect gift. Any material can be made up by our professional tailors, who will produce any item of clothing, including fishermanâ€™s trousers, skirts and dresses, to name but a few. Any design is possible! Guests can select from a wide range of local arts, from soap stone hippos, beautiful hand made Kenyan masks and carefully crafted beaded sandals. Our women traders also sell and make the most exquisite jewellery. Whether it is for your self or is a gift to take home, it is that perfect reminder of your sunny experience in Kenya! We are situated conveniently in front of Turtle Bay Beach Club in Turtle Bay, next to Hemingways Resort in the Marine Park. Also we are in the Marine Reserve in front of Barracuda Inn Hotel. Look out for our members who wear yellow shirts and carry official ID cards. For more details on our sale items or our policies please see our contacts below.